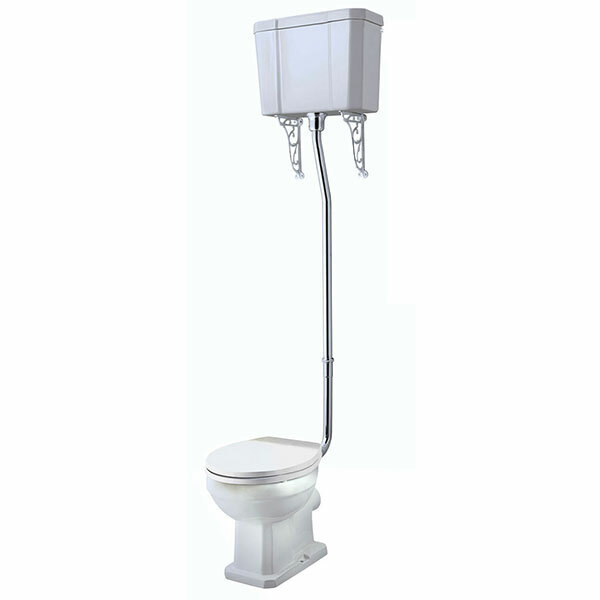 The Tavistock Vitoria High Level Toilet, Pull Chain Cistern, Solid Wood Seat is a model from the Vitoria collection of Toilets from Tavistock. This classic bathroom pan has been teamed with the Vitoria high level cistern creating a beautifully traditional styled bathroom toilet. As you would expect from a leading brand such as Tavistock, this item is manufactured to the highest standards and is sure to add style and substance to your bathroom.